Christmas is coming. Ok it's still a couple of months away but if you are anything like me then you will be getting prepared now. One of the things that takes up a lot of my time is preparing for Elf on the Shelf which I've been doing since 2013. Our Elf will be returning again this year so of course I need to come up with some new ideas and one of those ideas has come from the lovely people at Flitterbee. 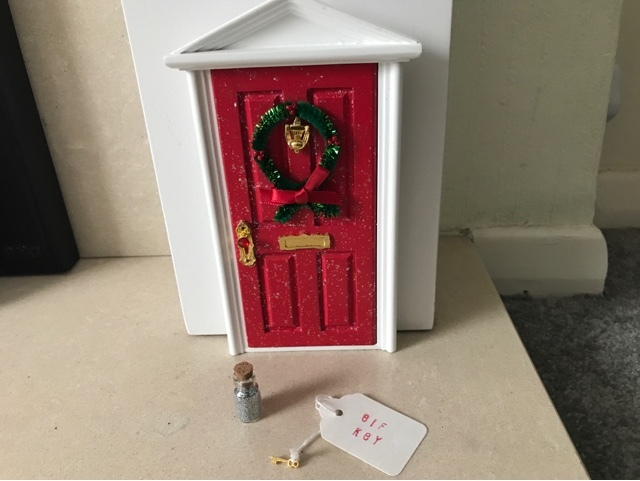 As well as creating things like personalised plaques and framed initials, Flitterbee also stock fairy doors with a special Christmas version which can be used for Elves like the one that we happen to have. 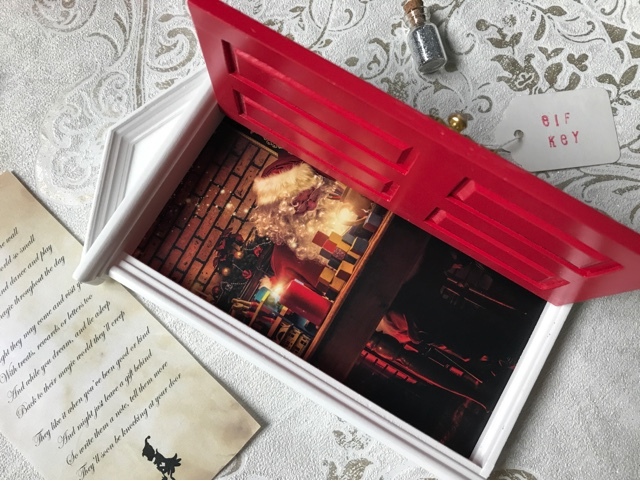 I do believe that it is going to make THE PERFECT festive accessory as it will make a magical entrance for our returning elves this December as we embark on our fifth year of the wonder that is Elf on the Shelf. Now because I will be using this door for my elf antics I haven't actually shown my youngest two children but my eldest two daughters are in the know now, so getting photos of this product was a secret mission of ours and they were very good at keeping their sisters occupied whilst I took photographs. Luckily it arrived packaged in a lovely red box so I was able to keep the door under wraps when not in use. Painted in a wonderfully bright red, the door which has the effect on it that makes it look as though it is covered in snow and the white edging which surrounds the door makes it stand out even more. It comes complete with a glittery wreath upon it. The detail on this product is pheonominal. 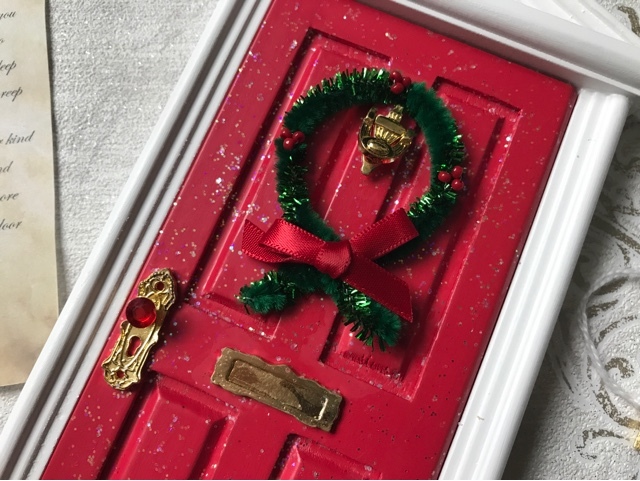 With tiny read berries and a little red bow on the wreath, they've even included a letterbox and a gold door handle. The magic doesn't stop there. 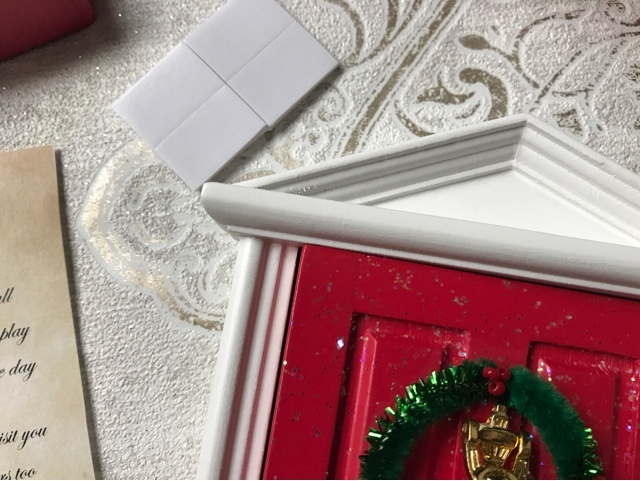 When you pull on the elf sized door handle, the door will open to reveal a picture of Santa sitting in his workshop writing letters to the children. I'm going to make this a feature of this years Elf on the Shelf as a hint to make sure the children are being good as they want to be put on that nice list don't they. 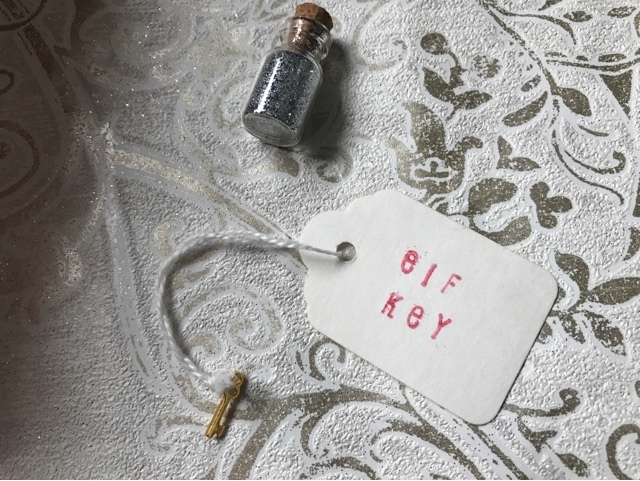 What I fell in love with when I opened up the box was the teeny elf key and the accompanying bottle of what I'm calling elf dust. It really is the little things that can have the biggest impact. There is a big label attached to the keys so hopefully they won't get lost, I might see if I can find a way to attach them to Buddy just to make sure they're safe from little fingers. 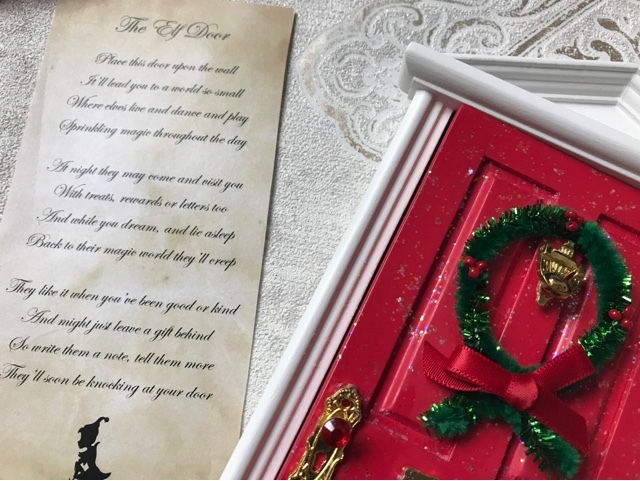 And for those of you who are perhaps new to the world of elves, there is even a delightful poem included so you can set up the door with your children and enjoy the magic of it all together. The door is approximately 17.5cm tall and 9cm wide and is made to be attached to the wall above a skirting board. Flitterbee have thought of everything as within this lovely package they've included a few adhesive stickers to allow you to stick the door to the wall but to also take it back off again with ease. 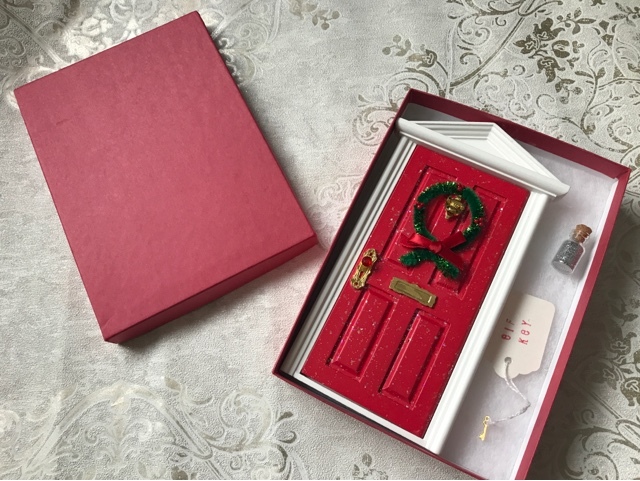 I do believe that the elf door will make a wonderful Christmas decoration and although it isn't technically a toy, it is also a brilliant tool to aid children's imaginations, to inspire them to really believe in the magic of the season.